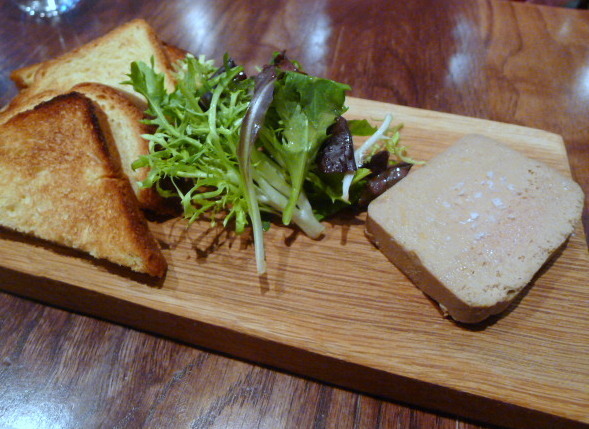 Foie gras and chicken liver parfait with toasted brioche (£11.50) was creamy, a little too creamy, but there was a nice foie gras flavour running through it and the brioche was soft. 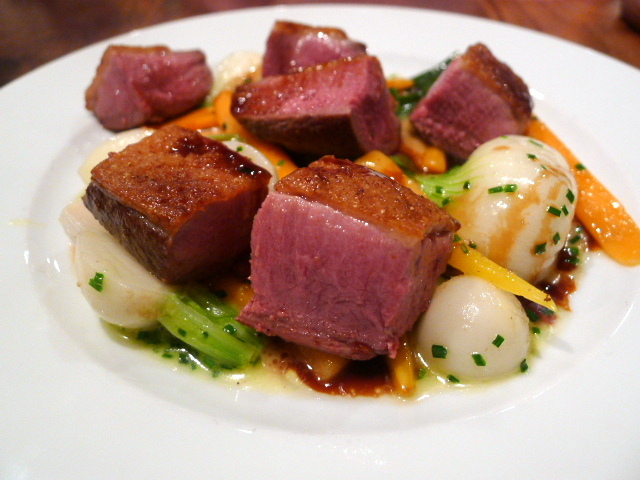 A main of roast duck breast, braised grellots and spring vegetables (£16) was stunningly good. The duck was perhaps a little too pink, but it was so tasty and tender that I was captivated by its quality. The veg was also nicely done. 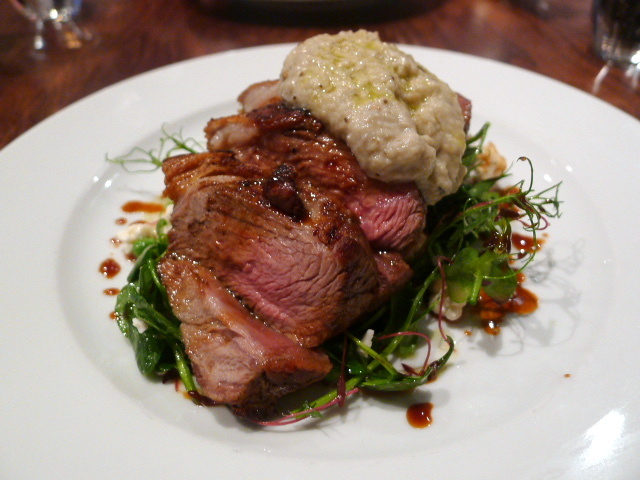 Less successful was the cumin spiced lamb rump (£16) which bordered on being well done. Peas, broad beans, mint, feta and aubergine caviar accompanied the lamb. The dish had been finished with a lamb jus and too much balsamic vinegar, the use of which had the effect of drowning out the dish. The dish was conceptually good, but its execution was poor. 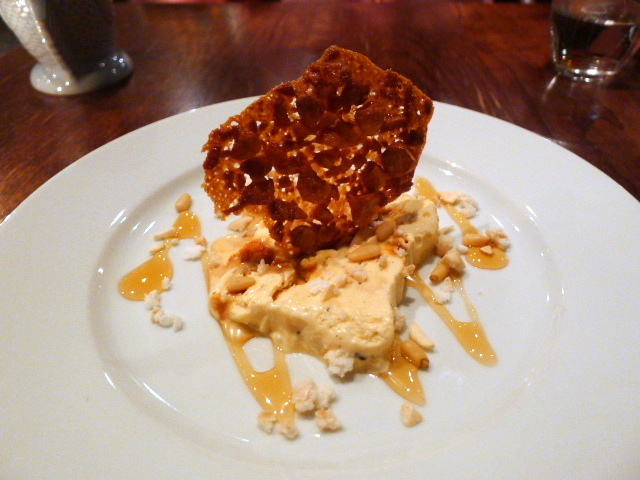 Wild thyme and honeycomb iced parfait (£7) was creamy and smooth, although the thyme was barely discernible. The parfait was finished with pine nuts, a pine nut crisp and honey which was a touch too sweet. But overall this was a good dessert. 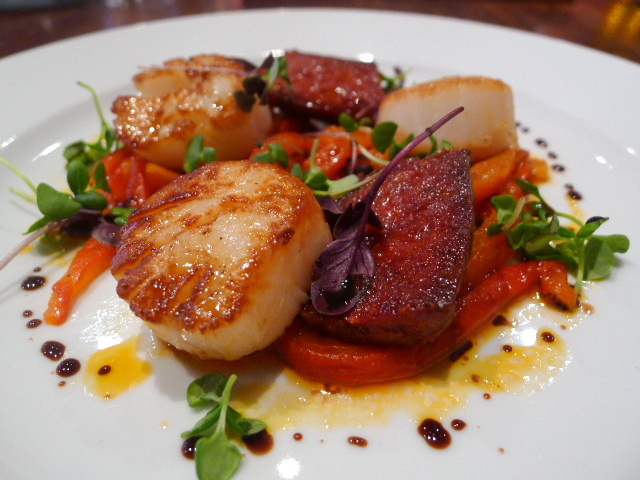 The Henry Root is deceptive as the food is far better than one might think from its casual comfy interior. The lamb dish did not work, but this was countered by an incredibly tasty duck dish and the rest of the meal was also of a reasonably high standard. The service was decent too and proved to be chilled and relaxed. This was a good walk-in experience and a worthwhile choice if you are stuck for somewhere to go like we were. Price range: £23 – £43 for three courses. Excludes drinks and service. I love duck and that roast duck breast does look crackin’. I have not been to Henry Root but after reading this review and seeing that roast duck I am itching to give the place a visit. Yes the duck was really, really good!